UPDATED: Wed., July 4, 2018, 7:28 p.m.
Jason Bay is embracing this chapter of his life, in which a source of joy comes from teaching his children the game he learned growing up in Trail, British Columbia, a small smelter town 127 miles north of Spokane. Four years into retirement, three-time MLB All-Star and Gonzaga alumnus Jason Bay still has the look of an everyday left fielder. The 39-year-old appears as sturdy as the day he was named National League Rookie of the Year in 2004, though his joints may not agree. Bay is embracing this chapter of his life, in which a source of joy comes from teaching his children the game he learned growing up in Trail, British Columbia, a small smelter town 127 miles north of Spokane. In lieu of 162-game seasons and lengthy road swings, he’s driving to little ballparks and pitches around the Puget Sound, juggling his three kids’ schedules. Bay, who played 11 seasons in the major leagues, made his bones with the Pittsburgh Pirates as a slugger and outfielder for six seasons before being traded to the Red Sox in 2008. In 2009 he earned a Silver Slugger award in Boston before agreeing to a four-year, $66 million deal with the New York Mets. After three injury-riddled seasons with the Mets, Bay had a cup of coffee with the Seattle Mariners, retiring after appearances in 68 games in 2013. Retirement has given him time to return to his alma mater, something he’s rarely done since graduating in 2000. In May, when Gonzaga named its baseball field after former longtime skipper Steve Hertz, Bay and a few of his old teammates attended the ceremony, sharing stories about their times at Gonzaga when it wasn’t the national brand it is today. One of his favorite memories of playing for Hertz, who recruited him from nearby North Idaho College, was the time he and his teammates raided his baseball shed. “We had a house on Augusta and set up a Wiffle ball stadium in the back yard, so we went to the shed and took the rake, the line chalk, the pads for the wall, you name it,” Bay said. In just two seasons at Gonzaga, Bay tallied 35 home runs and had a .374 batting average. In 2015, he was inducted into the West Coast Conference Hall of Fame. When Bay looks at the school’s upgraded, state-of-the-art facilities – including the Patterson Baseball Complex – and national profile today in comparison to his time 20 years ago, it’s a world of a difference, he said. Bay never reached the NCAA Tournament in his two years, but the Bulldogs have cracked the field three times since 2009. 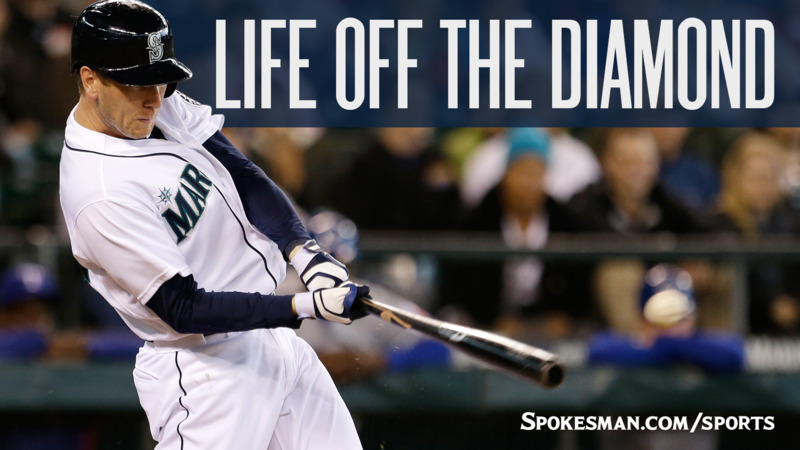 Eight former Bulldogs have reached the major leagues since Bay, including Seattle Mariners southpaw Marco Gonzales. Bay’s success in the United States – other than helping Canada reach the Little League World Series at age 12 – began at NIC, where he improved and earned the attention of Division I schools. The school dropped its baseball program in 2002, but Bay hopes it returns one day. Published: July 4, 2018, 5:53 p.m. Updated: July 4, 2018, 7:28 p.m.